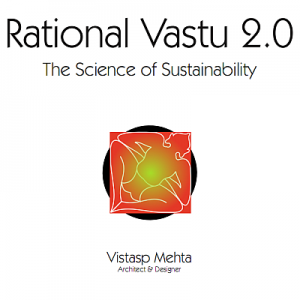 As an Architect, I have often been confronted by my clients’ blind faith in the Vastu Shastras — the ancient building code of India. At first, I dismissed it out of hand; but the trend refused to die. Finally, I decided to take a closer look at this phenomenon, hoping to gather enough evidence against it. To my surprise, I found that when seen in totality, it conflicted very little with my professional training. The Vastu Shastras are, basically, rules for holistic architecture. However, that is only the good news. The bad news is that it has been turned into a monster of superstition by a number of so-called experts. They have crawled out of the woodwork to make a very fast buck by preying on people’s insecurities. This booklet was written because the non-professional has no way of understanding the first thing about these ancient texts. It explains in simple terms, the origins and meaning of the Vastu Shastras. While this book is not intended to be a comprehensive encyclopaedia on the subject, a thinking person will quickly learn to differentiate between the genuine code and outright superstition. This book is distributed under a Creative Commons License v.3.0 and you may distribute it freely provided that it is non-commercial, unmodified, and attributed to the author.